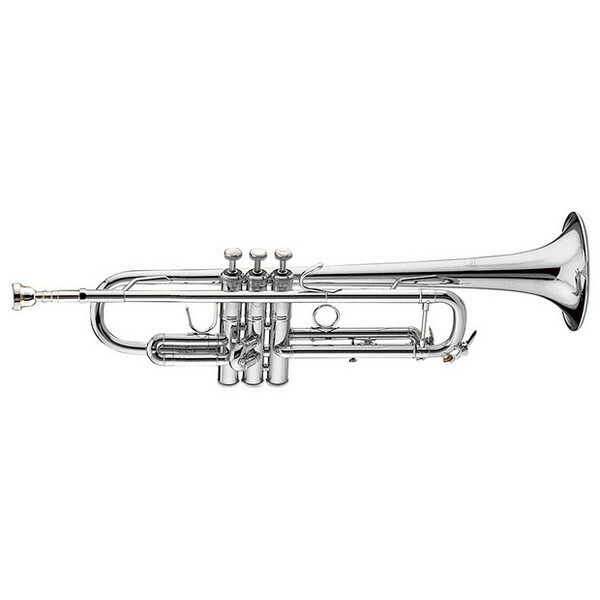 The Bach ''Vincent Bach'' Silver Plated Trumpet is a versatile and expressive instrument, offering professional quality at a more affordable price. Featuring a red brass leadpipe, two-piece 43 bell, along with the same valve assembly as Bach's premium Stradivarius series, this trumpet delivers a Bright and Edgy sound while maintaining a full tonal body and projection, making it perfect for jazz but well suited for all styles of music. Although this trumpet is not shipped with a case, it does include the highly acclaimed Bach 3C trumpet mouthpiece.